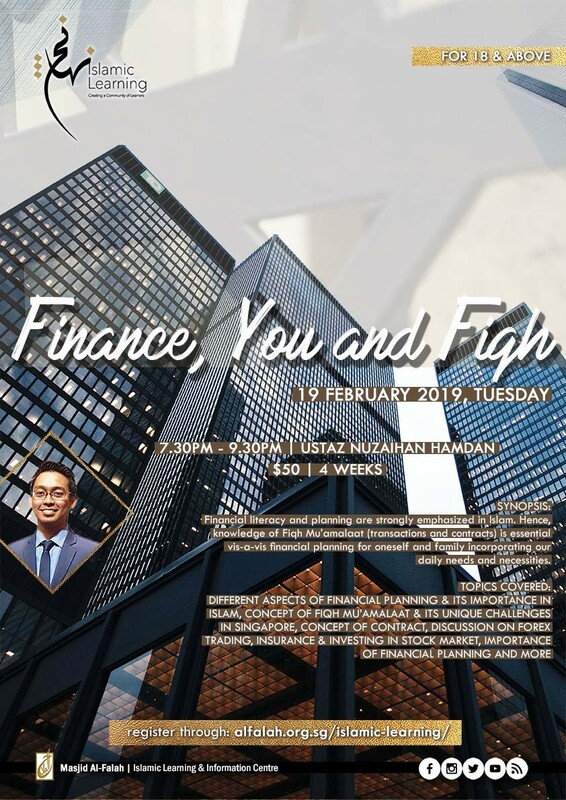 Back by popular demand, we bring you Finance, You and Fiqh on 19 February 2018, Tuesday from 7.30pm to 9.30pm. Financial literacy and planning are strongly emphasized in Islam. Hence, knowledge of Fiqh Mu'amalaat (of transactions and contracts) is essential vis-à-vis financial planning for oneself and family incorporating our daily needs and necessities. These sessions will provide key terms and aspects in Shariah that enables the participants to understand the different aspects of financial planning and its importance in Islam. Participants will also be able to comprehend the concept of Fiqh Mu'amalaat, its rules and regulations, instruments and the unique challenges faced here in Singapore. Participants will also be exposed to the requirements and rules involved in making contracts as well as its prerequisites. Matters such as forex trading, insurance and investing in stock market would be presented and discussed. At the end of the sessions, participants should have better awareness towards the importance of financial planning, proper planning and preparation and how Shariah promotes holistic well-being for oneself and family including in meeting our financial demands. For those who wish to know about Fiqh Mu'amalaat and noting transactions according to Islamic regulations. Suitable for 18 years and above. 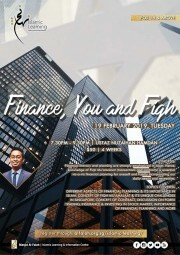 The class will be conducted by Ustaz Nuzaihan Hamdan. The class will be in English. Register now at http://alfalah.org.sg/islamic-learning/ and enjoy 4 weeks of learning for only $50! Register now to save your seats!